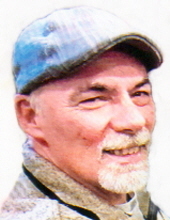 Celebrating the life of Dennis Duane Butcher Sr.
Obituary for Dennis Duane Butcher Sr.
Age 58 of Owosso passed away Friday, February 1, 2019 at Henry Ford Hospital in Detroit. Funeral services will be held 11am Wednesday, February 6, 2019 at Nelson-House Funeral Homes with Robert Bostian officiating. The family will receive friends at Nelson-House Funeral Home-Owosso Chapel on Tuesday from 2pm to 8pm. Dennis was born June 8, 1960 in Owosso, the son of Dale and Onalee (Pugh) Butcher. He graduated from Morrice High School, class of 1978 and married Beverly Taylor in Niagra Falls on March 27, 1999. Dennis had a love for the outdoors and especially loved deer hunting, fishing and being at the lake with his children and grandchildren. Most of all he looked forward to precious time spent with family and friends. He was employed for many years as an elevator mechanic technician. Dennis is survived by his wife Bev; children Marcy Matthies, Heather Innes, Amy (Brett) Kelley, Dennis (Brandy) Butcher and Matthew Innes; grandchildren Trevor, Rionna, Maisie, Brendon, Alexis, Taylor, Hunter, Katelyn, Braydon, Carter, Alivia, Chandler, Emma Jo, Ethan, Gracie and Conner; brother Dale (Sue) Butcher, Ranae (Elvia) Butcher-Villa, Dan (Diane) Butcher, Kandi (Alan) Glatter, Darrell (Becky) Butcher, Lyla (Mark) Webster and Al (Helen) Martinez; many nieces, nephews and other loving family members and friends. He was predeceased by his parents and brother Dave Butcher. To send flowers or a remembrance gift to the family of Dennis Duane Butcher Sr., please visit our Tribute Store. "Email Address" would like to share the life celebration of Dennis Duane Butcher Sr.. Click on the "link" to go to share a favorite memory or leave a condolence message for the family.